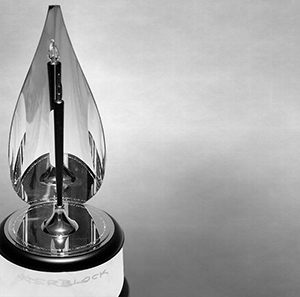 To commemorate Herb Block’s legacy, the Foundation awards the annual Herblock Prize for excellence in editorial cartooning. The Foundation created the Herblock Prize in 2004 to encourage editorial cartooning as an essential tool for preserving the rights of the American people through freedom of speech and the right of expression. 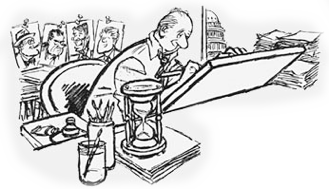 Presented each spring at the Library of Congress, the prize is awarded by The Herb Block Foundation for distinguished examples of editorial cartooning that exemplify the courageous standard set by Herblock and is judged by a panel of outside experts. Although the judges for the Herblock Prize always had a finalist chosen for the award, the finalist was not announced until the year 2011. The finalist in 2011 was Ann Telnaes of The Washington Post for her portfolio of animated editorial cartoons. In 2012, The Herb Block Foundation announced that past, present, and future finalists of the Herblock Prize would receive a $5,000 after-tax award. The winner receives a tax free $15,000 cash prize as well as a sterling silver Tiffany trophy. Chairman of the Board and Chief Executive Officer of Graham Holdings Co.